Are you a UK business looking for a wide choice of web hosting options and competitive pricing? 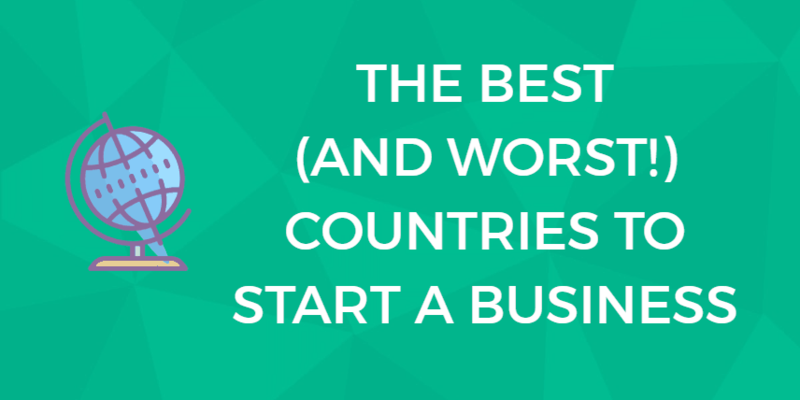 Need startup advice, marketing tools, and support to make your online business successful? Read our review of Easyspace to get the facts. There is a lot to be said for “staying local” when you are looking for web hosting. Benefits such as faster connection speeds over shorter distances, billing in your own currency, and customer support being available during working hours in your time zone all add up. If you are a UK business looking for a wide choice of hosting options at competitive prices, you should have a look at Easyspace. Owning and running their own datacenters across the UK, Easyspace offers a wide range of hosting plans with plenty of scopes to customize according to your needs. Its portfolio of additional services, from website building to domain registration, is equally comprehensive, providing a convenient one-stop shop for all your website requirements. Founded in 1997, Easyspace has been hosting websites and registering domain names since the market was in its infancy. In 2004, the company was bought by UK-based broadband and cloud services conglomerate Iomart. Since then, Easyspace has benefited from Iomart’s extensive investment in 10 self-run datacenters in eight locations across England, Scotland, and Wales. Easyspace offers most types of web hosting, with plenty of flexibility to choose from a large number of off-the-shelf plans, but also to customize hosting to suit your needs. This level of choice and flexibility also ensures there is something for every budget. Easyspace’s shared hosting plans are all-purpose solutions suitable for everyone from bloggers and business start-ups to established e-commerce enterprises. Unlike many shared hosting providers which rent out space on a specific server, Easyspace uses its cloud architecture to balance loads and improve availability on all its web hosting plans. Even within the shared hosting category, Easyspace offers a lot of choices. Here is a breakdown of the main options. Easyspace offers what can be described as two ‘standard’ shared hosting plans, one offering up to 10 GB storage and five databases, and the other aimed at business operators promising unlimited disk space and databases. Be aware, however, that Easyspace’s definition of ‘unlimited’ is subject to an acceptable use policy, which for shared hosting is capped at 250 GB. Both plans are available on either Linux or Windows OS and use the Apache environment. Customizable hosting plans are a big draw for Easyspace customers. Few hosts give you this degree of control. Although these templates make recommendations for your needs, you can then customize your plan by choosing anything up to 200 email accounts, up to 50 GB disk space and up to 20 MySQL databases. The price is calculated according to your choice, which is great for making sure you pay for exactly what you need. As with the standard plans, you can also choose between Linux and Windows OS. Easyspace offers optimized hosting for WordPress built on the super-fast NGINX server environment, the premium platform for high-performance WordPress sites. WordPress plans come with unlimited storage and databases, up to 20 GB email storage per domain and unlimited IMAP mailboxes. PHP Myadmin is included as standard. Choose from three plans offering capacity from 1000 to 10,000 product listings. Depending on the plan you choose, Easyspace’s e-commerce sites come ready to set up to accept payments via PayPal, WorldPay, and HSBC, and integration with eBay, Kelkoo and Google Base. All plans come with free design templates and product slideshows, and you can choose to add Flash and product search. Easyspace’s Build Your Own VPS plan gives you the power to configure your hosting plan according to your business needs. Full root administration access with SSH, giving you more options to configure your server and install the software you want. A wider range of pre-set configuration options for popular web platforms such as WordPress, Joomla, Drupal, and Magento. Flexible billing on rolling monthly contracts. Wider choice of web server platforms, including Apache, NGINX, and LiteSpeed. Unlike the VPS plans offered by other providers, however, don’t expect Easyspace’s virtual server plans to provide significantly greater storage. You can customize your own virtual environment with up to 50 GB disk space and 8 GB RAM. All virtual server plans are built on Linux, with a choice Centos, Debian, and Ubuntu operating systems. The Plesk control panel is included as standard if you wish to use it, with 10 free Plesk Domain licenses. More can be purchased as add-ons, and you can also choose to upgrade to Plesk Power Pack. SSL certificates are charged as extras, as is backup and restore. Easyspace’s cloud hosting service is like a turbocharged version of its virtual server hosting, making full use of the flexibility and power of its purpose-built architecture. This is where to look if you want high capacity and performance coupled with complete control over your sites. Cloud hosting can be fully customized to suit your needs, or, as with virtual servers, you can choose a pre-configured set up designed for WordPress, Joomla, Drupal, and Magento hosting. Bear in mind that even though the specs in this list are impressive, with Easyspace’s cloud hosting packages, you get what you pay for. Everything you can customize is chargeable, including the control panels. Dedicated server hosting means you get a full physical server in a datacenter to yourself, offering more power, better security, and more control. Easyspace’s twist on dedicated server hosting is that, as with its virtual server and cloud packages, you can choose a pre-configured server, or you can customize one to your own specifications. The pre-built server options make it easy to get started with a dedicated server, and they start at highly competitive rates. Easyspace keeps a list of all available servers on its website, which you can search by price or by RAM. The list is updated as and when servers become available, and specifications vary according to what they have in stock. Alternatively, you can build your own server, based on four packages ranging from 8 GB to 256 GB RAM. You can specify how many Intel CPUs you want, and there is a wide range of hard drives, from 4 TB SAS to ultrafast 1 TB SSD. Available operating systems include Windows and Debian, Ubuntu and CentOS for Linux, plus ESXi from VMware, a specialist bare-metal hypervisor, and FreeNAS, which can be installed on most hardware platforms to share over a network. Dedicated server hosting comes with the Easyspace Control Panel (ESCP) as standard, but can be upgraded to cPanel or Plesk. Managed Hosting – Or Not? ‘Hardened’ server management provides an extra level of security support, including anti-virus installation and updates and active monitoring of your back-end systems, your websites, and your SSL protection. This translates into a guarantee of up to one hour of dedicated engineer time per month. ‘White glove’ management is a fully managed service, including a comprehensive 24/7 system and site performance monitoring, backup and recovery, operating system and control panel management. Engineer time is described as “inclusive”, although there is a fair use policy which caps this at 10 hours per month. Easyspace offers reseller services through its sister brand Easynic. Easynic offers white label domain names and web hosting from the Easyspace data centers. All hosting plans come with email features, and Easyspace also has special email packages and add-ons. You can easily integrate with Office 365 or activate their business email package. Its low-cost plan comes with 2GB of space, and the option to buy more storage. The mailbox includes anti-spam filters and anti-virus software to secure your communication. In fitting with its ‘Making the web easy’ tagline, Easyspace puts a lot of emphasis on making the creation and management of its sites as straightforward and intuitive as possible. All shared hosting plans come with free account set up. Set up of sites on virtual, cloud and dedicated server plans are done online through the company’s web portal. Set up of virtual and cloud accounts takes about 20 minutes. The Easyspace Control Panel, or ESCP, is a web-based interface accessed from the Easyspace website. It is the standard control panel on shared hosting and dedicated server plans. On shared hosting, it provides a general account management platform which includes a one-click installer bundled with more than 50 popular third-party scripts. Be aware that the one-click installer is free for the first 12 months only, although the annual cost thereafter is very low. On dedicated server plans, ESCP provides a greater range of advanced control and management options. These include the ability to request server reboots and set up your own customized monitoring of site performance, install your own OS and manage IP addresses. While ESCP is fine for account administration and, on dedicated server plans, back-end control, for site and database building tools, you need subscribe to one of Easyspace’s own additional platforms, or else upgrade to Plesk or cPanel. Being able to build professional looking, high functioning websites is just as important to businesses as finding a good host. Easyspace is a great fit if you need help with site building, as its tools and services go way beyond what most hosting companies offer. You will find a host of advice for startups, as well as interviews with successful entrepreneurs and useful online tools, on the Easyspace site. Easyspace’s website tools cover the broad range of features you’d need in a site builder. Interactive content like contact forms, as well as professional galleries and news sections, are part of the package. This can help increase audience engagement. All designs are responsive, and this is especially important as more consumers turn to mobile browsing. The Easyspace web design team promises a consistent look across all devices. Browsing the portfolio of examples on their site, there are several different types of industries. They’ve catered for interior design businesses, tour guides, and nonprofits. Easysite Live Pro is a widget-based site builder platform which lets you structure content by dragging and dropping items into position. It comes preloaded with dozens of applications such as photo galleries, contact forms, and comments sections, plus third-party add-ons including Google Maps, Facebook, Twitter, and YouTube. Even if you have never built a website before, Easysite Live Pro allows you to create professional looking pages with perfectly functioning content in a matter of minutes. An e-commerce site builder is included with all e-commerce hosting plans. It comes bundled with plug-ins for the likes of PayPal, WorldPay, eBay, Kelkoo and Google Base and allows you to create listings on pre-set templates for up to 10,000 products. A one-click installer and site building tool for WordPress can be added to any Easyspace site operating on Linux. Easyspace is partnered with goMobi, a mobile site building platform. As 70 percent of internet users now browse on mobile devices, you should prioritize mobile optimization. As with the rest of Easyspace’s building tools, you don’t need any coding or web design experience to get started with goMobi. Running your mobile and desktop sites from the same hosting account also helps ensure consistency of content and performance. Instasite is an innovative new service which allows you to build a simple WordPress page on the Easyspace site. Use the tools to customize the appearance and add the content you want, then preview before you make a purchase. If you like what you see, the site you buy is put straight onto a shared hosting plan and is automatically optimized for mobile. 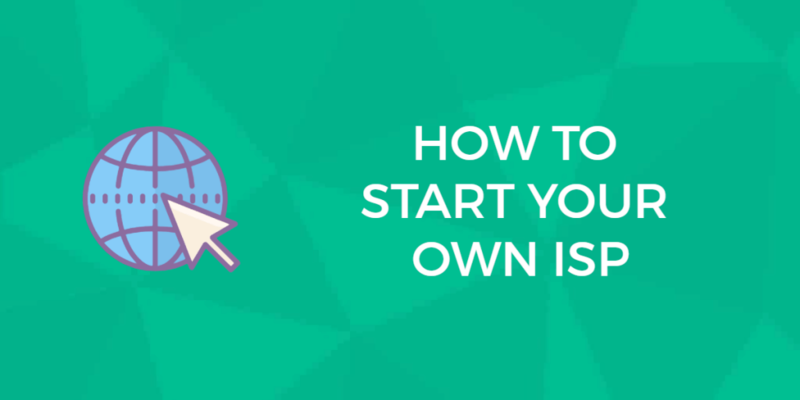 This is a great option if you are just getting started running your own site. If you really want to hand over responsibility for creating your web site to the professionals, Easyspace offers in-house web design. The main advantage of this is that it is a fully bespoke service, so if you have a strong vision for the look and feel of your site and don’t want to rely on templates, this is the option for you. Easyspace will also design your Facebook page and your email newsletters. Although Easyspace offers more than the average number of tools to help the non-programmer get started with site building, its hosting platforms are friendly to developers and coding specialists. If you want to write the scripts for your own site, Easyspace makes a full set of APIs available. If you opt for a Windows based site with Plesk on a virtual, cloud or dedicated server plan, you can also write scripts with PHP 7, Java, Ruby, and .NET. Check system status. Easyspace publishes details of all known issues in its datacenters on its website, the first port of call if something isn’t working properly. Search for online support. The Easyspace site is packed full of webinars, self-help guides, manuals, videos and FAQs covering all aspects of creating and managing a site. Ask a question. By logging into your ESCP account, you can submit a question directly to the Easyspace support team, or you can email them. This service is available 24/7, 365. Call the Easyspace technical team. This is available during UK business hours only, Monday to Friday from 09.00 to 17.30, and calls are chargeable. If you do have to contact Easyspace, the company promises a first response within 15 minutes. If a something goes wrong with a piece of hardware affecting your account, it promises replacement within four hours. It pledges to resolve all tickets within 12 hours. Does Easyspace Offer an Uptime Guarantee? Yes. Easyspace makes a 100% uptime guarantee across all its hosting services, which is quite a commitment. Often you will see hosting providers adjust the availability SLA according to the price of the plan. If you do experience outages, Easyspace promises to refund a day’s service fee for every hour your site is down. Each datacenter is equipped with state-of-the-art server networks designed to meet the demands of large-scale virtualization, with fully distributed storage, N+ redundancy, and multi-site disaster recovery. Separate servers are used for websites and databases, so the two don’t get in each other’s way and slow each other down. Easyspace also utilizes cloud storage architecture across most of its hosting plans, sharing the resources used by websites across multiple servers. This both improves page loading speed and balances loads to maximize availability. Unlike web hosting providers which lease space from third-party facility owners. Easyspace offers 24/7 performance monitoring of all servers, connections and client sites, as well as 24/7 anti-virus and malware scanning. There is full DDoS protection, which means your servers are not going to be suddenly flooded with activity to the point that they fail. Iomart is one of only a handful of companies in the UK to have all its datacenters certified to ISO standards for quality, information security and service management standards. Easyspace bases its 100% availability promise on the cloud architecture and fully redundant system infrastructure it employs at its 10 datacenters. Cloud storage on private networks means server resources are shared across physical machines, adding failover protection should something go wrong and balancing loads to cope with peaks in demand. All Easyspace datacenters are protected by round-the-clock manned security, smart card access systems, CCTV and alarm systems. They have advanced fire detection and suppression systems, plus dual independent power sources so there is always a backup in case one fails. Easyspace also employs a redundant (“dark”) fiber network and partners with multiple Tier 1 carriers, again ensuring there is no interruption in connection even if one carrier experiences a problem. All onsite engineers are employed directly by Easyspace. If you’re a UK-based business, a datacenter closer to your customers’ location means faster site loads speeds, adding another potential SEO boost. The location of the datacenters might not be ideal for you if the bulk of your customers are not based in the UK or the rest of Europe. However, you can purchase services from a Content Delivery Network (CDN) to solve this. A CDN or content delivery network is a network of globally dispersed datacenters/nodes (called PoPs – Points of Presence). A copy of your current website is always stored across the globe at these nodes. When a visitor clicks on your site URL, the system can detect his or her geographic location and serve up your website from the nodes closest to him or her. Think of it like this: You’re in New York and want a Domino’s pizza. Would you rather get it delivered from the pizza location closest to you or wait for it to be delivered from L.A.? Some web hosting services will come with a Content Delivery Network (CDN) such as CloudFlare CDN or provide easy integration, but Easyspace doesn’t offer these services. You can easily get such a service for yourself though, at modest cost, directly from Cloudflare or another CDN. Cloudflare provides its own integration that is very easy to use and fast to set up. Backup and Restore Options: How are My Website and Data Protected? Easyspace carries out its own daily backups and will make these available to customers for disaster recovery. But it also advises customers to make their own backups — and to do that, you have to pay extra. Backup options depend on the type of hosting you choose. All website files and databases are backed up on Easyspace’s cloud storage system. Customers can choose from weekly backups on an eight-week rolling cycle or daily backups on a six-day cycle. There is instant access to backed up files via the control panel, and easy-to-use restore and replace options. Backed up files are stored for 60 days. This is included free with WordPress hosting plans, and if you pay for business class hosting on a yearly basis. External hard drive storage, with capacity ranging from 500 BG to 1 TB. This service represents a simple, cost-effective yet low-security backup option. Onsite storage up to 16 TB on a secure private VLAN within the same data center. Great for high capacity backups if full disaster recovery protection is not your primary concern. Offsite storage up to 5 TB in a different datacenter, via a highly secure dark fiber network. This service offers comprehensive disaster recovery and business continuity protection and is particularly suitable for operations subject to high standards of data compliance. Managed backup and restore service, available on demand or scheduled, with unlimited storage capacity. Bear in mind that, apart from the managed service, all backup options are administered by the customer, so you have to know how to run scripts yourself. On shared hosting plans, you have the option to pay monthly, for an annual subscription up front, or for two years with a 10% discount. All virtual, cloud and dedicated server plans are available on flexible rolling monthly contracts, which gives you the freedom to customize your requirements regularly without having to wait until a contract expires. Billing for all hosting services and other products, including account renewals, can be managed online via the control panel web portal. Be aware that the money-back cancellation policy is very short, just 7 days, and all renewals are automatic unless you pay extra to set them up manually. If you fail to cancel your account in time, you will be charged, and the company’s policy is that all payments outside the 7-day cancellation window are non-refundable. The company offers free trials on some of its paid for extra services, such as its site building tool. Pricing on all products and services is available in GB pound sterling, US dollars and Euros — just click the region you are purchasing from in the top right corner of every page. As an extra security add-on, Easyspace also sells SSL certificates from leading providers such as GeoTrust, VeriSign, and Thawte. SSL certificates demonstrate that your site runs the encrypted HTTPS protocol correctly and provide reassurance to customers that they are safe browsing and submitting personal details on your site. You should consider SSL certificates an absolute must if you run an e-commerce site. Google recommends the use of an SSL on all websites, e-commerce or not. In 2014 the search giant announced that its algorithm would favor sites with an SSL, albeit this is a minor ranking factor. You can check your chosen domain name has not already been taken using a free tool on the Easyspace website. Easyspace transfers existing domain names for free, which is a clever way to attract more web hosting business. Other incentives to switch to Easyspace include free forwarding of website traffic and emails from old domains, full DNS management from the Easyspace Control Panel, and free Google AdWords vouchers. If your business operates a large number of domains, Easyspace offers a management service which covers new registrations, renewals, acquisitions, invoicing and transfers. Easyspace also specializes in email hosting. All its web hosting plans come with a comprehensive set of email tools, including POP3 mailboxes, webmail, and roaming SMTP outgoing servers, so you can send email from any internet connection. It also offers email-only plans for EasyMail and Microsoft Exchange. The Exchange plans come with up to 100 GB storage and shared calendars, and you can purchase an additional SPAM and virus filter. Easyspace pricing is competitive and it comes with all the functionality to get your site up and running. But how does it compare to other web hosting companies? We compared Easyspace to Bluehost, SiteGround, and GoDaddy. On WordPress hosting specifically, Bluehost and SiteGround are officially endorsed by WordPress.org. Hosts that receive this recommendation are recognized for using updated software and an easy installation process. While GoDaddy doesn’t boast a WordPress.com endorsement, it has a Managed WordPress hosting package. This means the web host will handle the installation, the daily backups, and all the software updates. You’ll also get a pre-built site and drag and drop page editor. SiteGround comes with a free SiteBuilder, and if you prefer WordPress, they will also take care of the installation for you. To speed up your site, SiteGround comes with the CloudFlare CDN. While Easyspace’s site builder provides the features to create a professional and modern business site, Wix is known for its variety of templates and feature-rich e-commerce store. Wix offers a free trial and may be worth trying out. For a modern, sleek design with e-commerce and abandoned cart recovery support try Squarespace. For more robust e-commerce options, look at Ecwid, Lemonstand, or Shopify. How Does Their Customer Support Compare? As is the standard with most web hosts, all these web hosts have 24/7 live chat support. SiteGround and Bluehost provide a 30-day money back guarantee, and GoDaddy’s money back guarantee on one-year plans is 45 days. 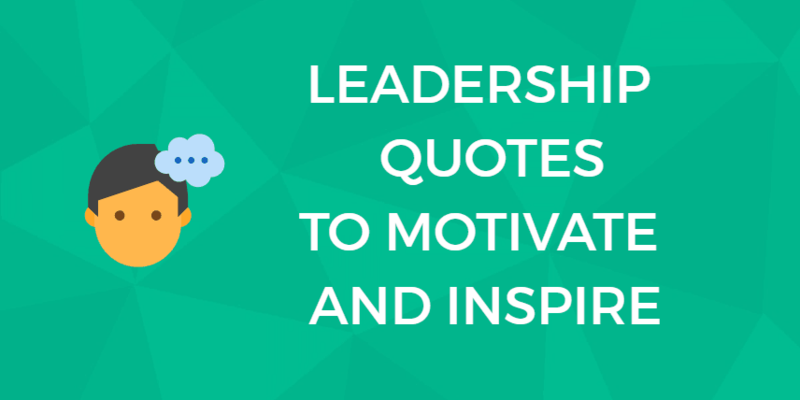 These are more in line with industry default than Easyspace’s 7-day guarantee. 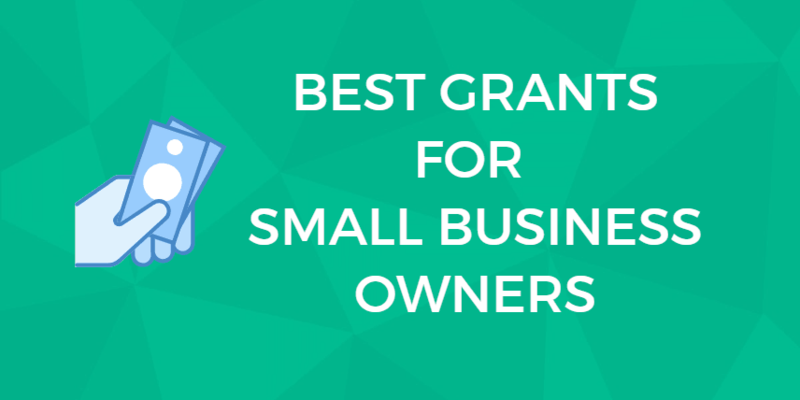 What’s the right choice for your small business? All web hosts offer affordable plans and the standard features that come with most packages such as unlimited bandwidth and access to 24/7 support. Easyspace does stand out from the competition with its 100% uptime guarantee. Lots of scopes to customize hosting plans to suit your needs. Self-owned state-of-the-art datacenters, with cloud architecture allowing for a 100% uptime guarantee. Plenty of specialist extras, such as domain name registration and management, site building tools and email options. UK-only datacenters — no international presence beyond Europe and the US. Cancellations restricted to just 7 days after account set up, with a no refund policy in other circumstances. Lots of potential add-on costs, even for off-the-shelf hosting plans. Is EasySpace for you? Check out the dozens of EasySpace customer reviews at our sister site, WhoIsHostingThis.com. You’ll also find answers to frequently asked questions. This could well be the information you need to make the right hosting choice. You are here: Home > Web Hosting: Which Hosting Company Is Best For You & Your Website? 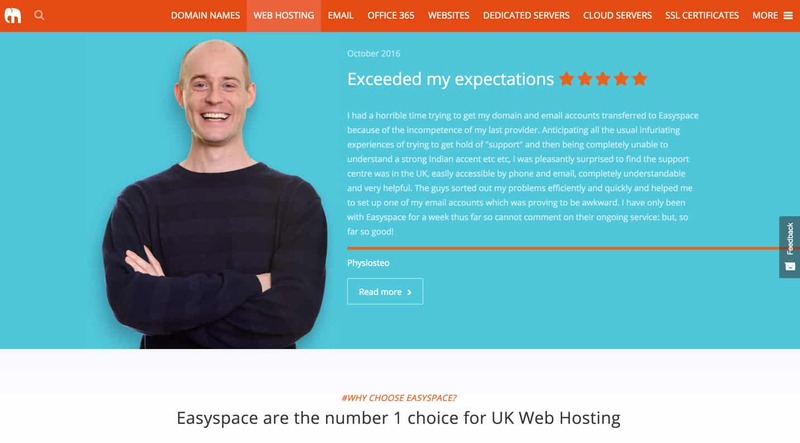 > Easyspace Review: Competitive Pricing, but Is This UK Host Right for You? Our Verdict: Customizable and reliable. Sweet choice. Previous: BlueHost Review: They’re A Popular Hosting Provider, But Does That Mean They’re The Best? Next: FastComet Review: Solid Shared Hosting, But Is It Right for You?